Twitter user @FSniperJohnson posted these cool laser engraved wood Ali-A coasters. 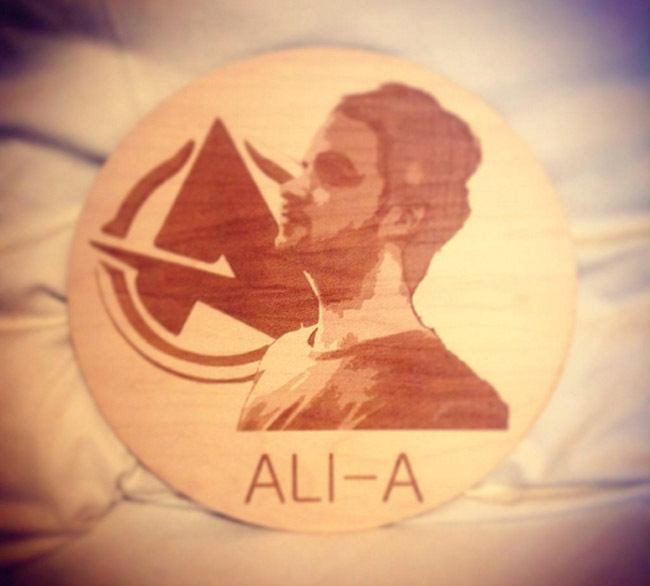 The coaster features Ali-A and his logo laser engraved into the circular coasters. A few weeks back a fan made a laser engraved Mr. Moon pint glass that also came out great. Keep more these fan made art coming, it’s interesting to see how creative everyone can be.